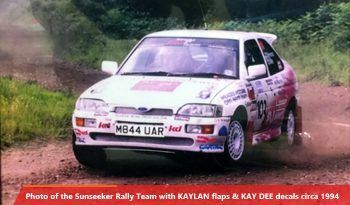 KAYLAN RALLY is a trading name of KAY DEE ENGINEERING Ltd. KAY DEE ENGINEERING was established back in 1979 and soon began to engineer and establish its winning polyurethane KAYLAN. The high performing characteristics of KAYLAN meant that KAY DEE quickly became established as a trusted supply to the biggest names in drilling, mining, offshore. The unique characteristics of KAYLAN, such as its strength, flexibility and high resistant to abrasion, soon attracted the attention of motorsport teams in search of high-grade, quality materials that perform in the extreme. Our first work for the motorsport industry came about in the early 1980s when were asked to mould and manufacture parts such as skirts to increase ground effect for Formula 1 cars for teams such as Williams and Lotus in the fast and furious days before this was tightly regulated. From there KAYLAN started to be used in a whole manner of applications such as mudflaps, front splitters and underbody protection as can be seen on the painting on the Metro 6R4, pictured here. We quickly developed parts with for the supercars of the 80s such as the Lancia Delta, Audi Quattro and the legendary Ford RS200. But we do not sit on our winning laurels and continue to innovate and supply some of the world’s best rally teams. If you need a bespoke moulding then please do get in touch. We have a highly experienced team of engineers and a full suite of design software such as Solidworks. Give us a call to book an appointment, give us your call to discuss a project or send us your drawings. 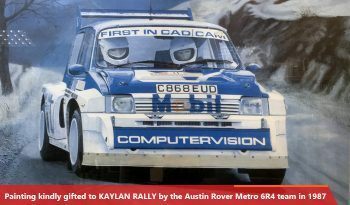 KAYLAN has been protecting rally teams get across the winning line in one piece for over 30 years. 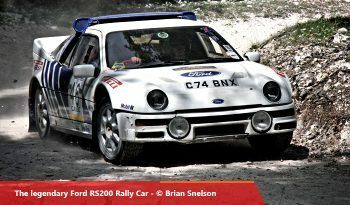 There’s little we don’t about rally protection through the years. All of our products are proudly made in our manufacturing plant in the heart of Yorkshire, Britain. All of our products are manufactured to exacting standards and tested in-house in our laboratory. KAY DEE Engineering has been manufacturing polyurethane components of the highest quality for decades. Giving you peace of mind that you are dealing with the best in business. Kay Dee Engineering is a family-run company which firmly beliefs in investing in its valued staff. We constantly invest in our manufacturing and design processes. Recent years has seen large scale investment in new CNC machines and Solidworkd 3D CAD Software. We offer customised support to the whole echelon of business from individual enthusiasts, small companies, professional rally teams and right up to global multinationals. By submitting this form you you will be requesting an appointment to meet our technical team in person at no obligation and will be contacted within 48 hours by a service advisor to confirm your appointment. © 2016 Kay Dee Engineering Ltd.Company Number 1407276. VAT Number GB 176 7095 71. Trademarks and brands are the property of their respective owners. Every effort has been made to locate copyright holders of materials included on this Website in order to obtain their permission to publish it.